Life seems to have a way of giving us an unexpected and shocking slap-to-the-face as a wake-up call periodically. As we attempt to recover from our shock we often find ourselves reflecting on and contemplating where we precisely are, where we have been and perhaps how or where our direction is. The ABFO recently received such an unfair blow with the shocking news that one of our ABFO family members and my Buddy, had left us because of a serious health issue. This was our beloved friend, colleague and mentor, Dr. Gregory Golden of California. Greg was universally loved and respected by all in the ABFO. The reason for this has many facets starting with his work ethic. Having completed his dental training in the 70’s at Southern California, he entered private practice in Rancho Cucamonga. I often teased him that the city in which he lived sounded like a comedic bit performed by actor Redd Foxx in the old Sanford and Son series. It was truly recognized that no one enjoyed a good laugh more than Greg, and he shared a healthy and plentiful ration of clever quips enough to go around. When Greg became interested in Forensic Odontology he tasked himself to eventually challenge and pass the certification process of the ABFO which he did in 1982. 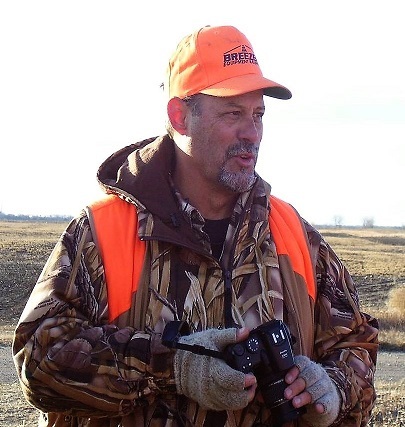 As he did with all of his interests (fishing, hunting, piloting aircraft and photography), Greg immersed himself into the very fabric of our organization serving in the toughest and most laborious positions including being elected to the ABFO Certification and Examination Committee and eventually serving on the Executive Committee and ultimately, ABFO President. My first introduction to Greg occurred in 1985 when I attended my first meeting of the American Academy of Forensic Sciences. At the urging of my co-worker and current boss, Dr. Ed Herschaft, I was hesitant but reluctantly capitulated and went along. At first my feelings about being there ranged from amazement at the sheer size and spectacle of the meeting to being quite intimidated to the point of partially convinced that I was not likely to return. Then I got introduced to Greg and many other forensic dentists there and it started to get more enjoyable. I quickly also noticed that Greg always had a hint of a Devilish twinkle in his eye and a joke usually within ready reach. That was the number one attribute that I witnessed being repeatedly expressed through emails from the ABFO’s members and commenting on our loss, and what it would mean to them personally. I reiterate, we will all miss him personally. And this is where my musing and reflection comes into play. I truthfully believe that Greg was one of the hardest workers I have encountered, yet he refused to let that get in his way of enjoying himself, the process itself, and his friends. It truly worked wonderfully for him. Greg always got the job done but never at the expense of enjoying his life. There is a modicum of a lesson here for all of us. Perhaps we as an organization often take ourselves a bit too seriously as we go about our important duties. Perhaps we can still work tirelessly in our sessions and then “shut it down” and enjoy each other. And perhaps a mindset less resembling an onerous job and more like enjoying one’s life along the way. Those closest to Greg indicated that he did not want people to go about holding large ostentatious services or memorials to him; just move on down the line and continue our important work. In that, he remained Greg-like to the end. We will always remember our friend with the warmest of remembrances.